Watson, the Jeopardy-winning supercomputer developed by IBM, could become a cloud-based service that people can consult on a wide range of issues, the company announced last week. "Watson is going to be an advisor and an assistant to all kinds of professional decision-makers, starting in healthcare and then moving beyond. We're already looking at a role for Watson in financial services and in other applications," says John Gordon, Watson Solutions Marketing Manager at IBM in New York. Watson is a modular supercomputer made up of at least 90 servers with 16,000 gigabytes of RAM, giving its smart learning software plenty of working memory for interpeting the meaning of the natural-language questions asked of it. And as New Scientist revealed a month ago, Watson's ability to sift through and make sense of hundreds of evidence-based, peer-reviewed cancer research papers and clinical guidelines is already proving to be a powerful diagnostic aid to oncologists, in trials at least. In addition to improving Watson's machine-learning capabilities to increase the range of options the system gives clinicians - including nuancing these to cater for patient preferences, such as choosing chemotherapy that does not cause hair loss, for instance - the race is now on at IBM to make the system far more widely available. "We want broad exposure for Watson. We want physicians all over the planet to be able to use it," says Gordon. "And we are now looking at ways of delivering Watson as a service to make sure that it is something that is very accessible and which doesn't require a significant level of technology investment by the user. 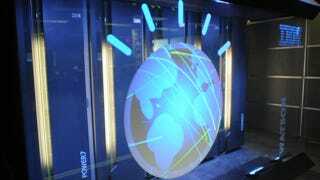 "We hope to expand Watson's scope by delivering it as a cloud-based service. We have a number of other application areas under consideration." Whatever applications IBM settles on, with the cloud already making computer storage available to us in ways similar to utilities like gas and electricity, it will be fascinating to see if artificial intelligence is the next commodity it delivers.